What is the oldest cosmetic to make you look fresh and young? The face blusher, of course. The smartest cosmetic, which each of us has and all generations of women use. One of my favourite, and one of the best I found till now, is the mineral one from Artdeco. 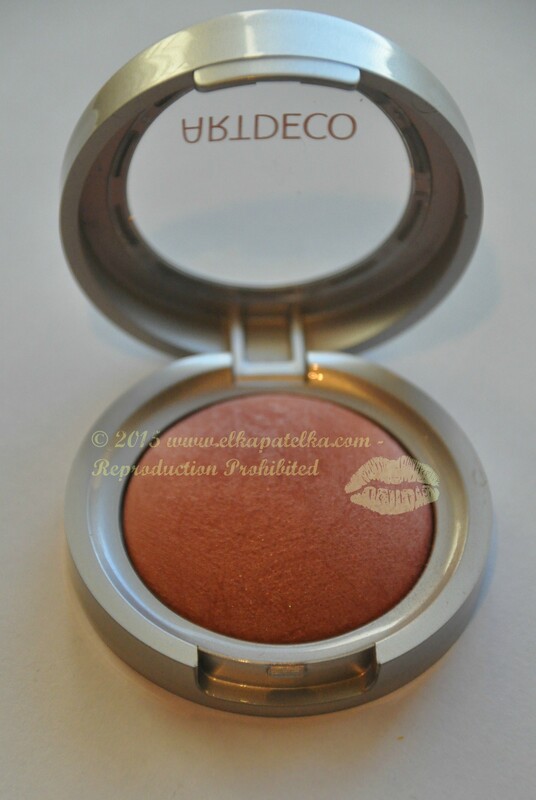 I love the baked face blushers, like the one from Bourjous, another cosmetic brand I really like. *Artdeco baked blusher did not cause any allergies, spots and did not dry out my cheeks either. *It is a mineral one, so it has minimum of harmful chemicals. Its ingredients are such as titanium dioxide, kaolin and silver oxide. *Its case is similar to the Bourjous baked blusher case. It is simple, round, light, durable plastic-it will survive the though handbag life. *Blusher is semi hard powder, easy to apply to the blush brush. *It has no mirror-a big minus! *It is without talc, wax and oil. *Price relatively small to what you get, especially the backed blushers last forever. The same one I still use since over a year. In other words, it is another excellent product of Artdeco. Well done Artdeco! Keep on going with the quality and price correlation. Artdeco is a German brand with high quality beauty cosmetics. If you read more of my blog posts you can find more Artdeco cosmetics. They are simply good. I am a sceptical customer. I need to test cosmetics, before will recommend them to anyone. It takes me a while to like a product, but if I like the brand and trust it, I come back to test other products from their range. I added some reviews of a liquid lipstick and a mineral powder, BTW-both are excellent products-check my reviews, although they are not so popular, but worth to have them if you like quality in a good price. In the UK you can get this brand at Debenhams or online and in some pharmacies as well. I was not able to find it on Amazon though. In Germany it is available in Kaufhoff shops. 6=Brilliant! I would buy it again.